This cereal tastes great and is very easy to prepare. Unlike most other kinds, made with thin slices of grains or even powdered grains that are quickly digested, they’ll keep you hunger-free for hours. Place the oatmeal, bran and 2/3 cup of the milk in a microwave-safe bowl. Microwave on high power until the cereal is just boiling, about 1 1/2 minutes; stop it before it begins to boil over. 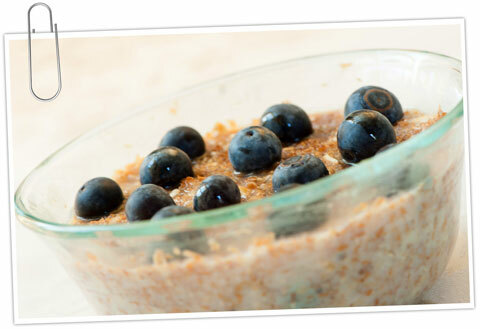 Serve the hot cereal with the maple syrup and the remaining milk and topped with the blueberries.